Last week was not a good week PR-wise for Amazon, the company owned by the world’s richest man Jeff Bezos. Even before it was announced that Amazon was not going ahead with their second headquarters in New York, they were raked over the coals in the press for allegedly not having to pay any corporate income tax for this year and last year. Instead, the Institute on Taxation and Economic Policy published a report claiming that Amazon received multi-million dollar tax refunds. So how did this happen? According to the report from ITEP, it’s because of the Tax Cuts and Jobs Act that Congress passed in 2017 which was heavily backed by President Trump. It not only lowered corporate tax rates but it also failed to close loopholes that large corporations like Amazon could take further advantage of. This is somewhat ironic since President Trump has long criticized Amazon’s business practices while enabling a law that allows Amazon to supposedly continue those practices. 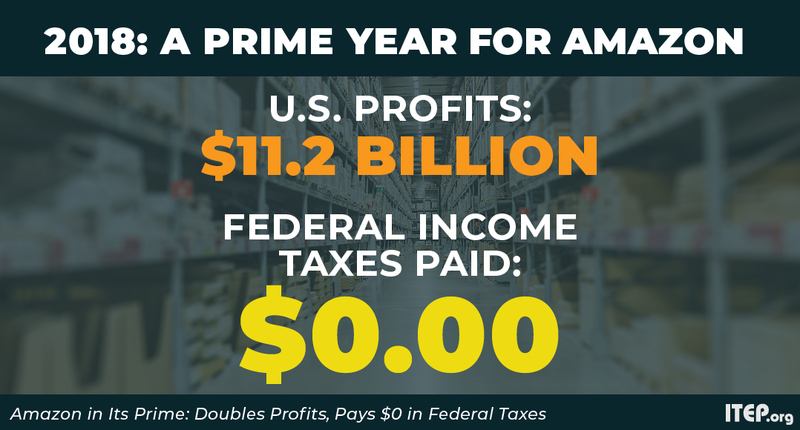 So Amazon is not paying its ‘fair share’ taxes, what’s the big deal right? Well, it’s not just Amazon who is taking advantage of these new tax regulations. Netflix is another company that will reportedly pay no federal income tax this year either. How many other Fortune 500 companies will also look to take advantage of these loose corporate tax laws? Without corporate taxes being paid as they have been before 2017 tax increases could be passed on to an already overtaxed American public making the economic disparity in our country even worse. ← Should social media companies police anti-vaxx groups?